The CornerStone – ANSI 107 Class 2 Dual-Color Safety Vest Style CSV407 is available in Adult Sizes: S-4XL. 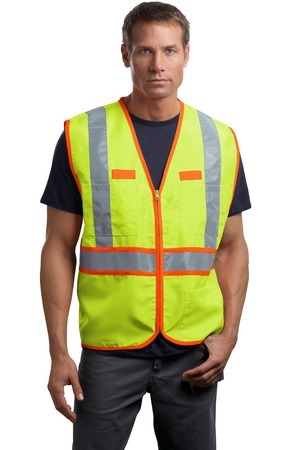 This reflective high visibility vest will help increase visibility and enhance the safety of your workers. Comes in safety orange and safety yellow. The vest is ANSI/ISEA 107 Class 2 certified.